Woop, it’s the weekend – and have we got you covered. We can’t guarantee blazing sunshine (if only!) , but here’s our fave, fun things to do across the capital. 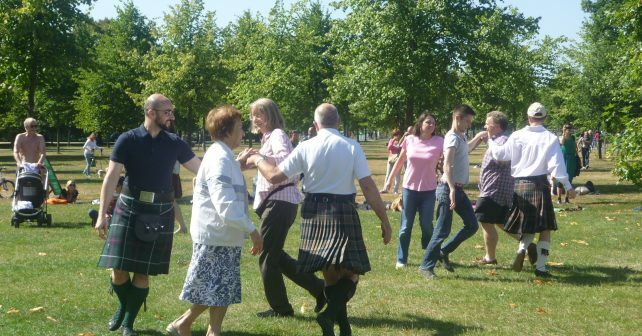 Dance fans, head over to Kensington Gardens this Saturday where they’re hosting a FREE to join ceilidh in the park. There’ll be an MC and live band to teach adults and children of all ages and abilities some moves. It’s all fun and informal just like the picture above! Fancy adding some Latin heat to your leisure time? 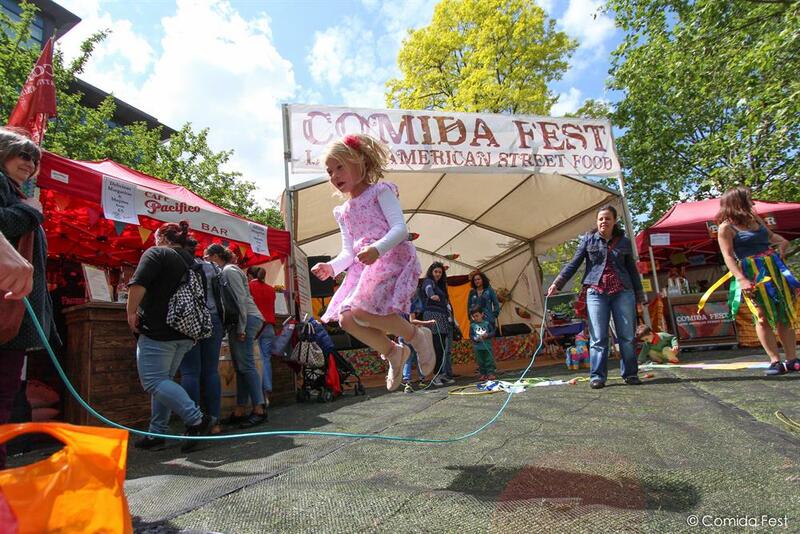 Then make straight for the FREE Comida Fest at Tower Bridge! The Central and South American Srteet food festival will have more than 30 traders selling their tasty treats with Mexican, Argentinian and Brazilian classics all for sale. Plus beers and cocktails! Other highlights include a mariachi band and FREE zumba classes. For the kids there’s face painting, story telling and art workshops. 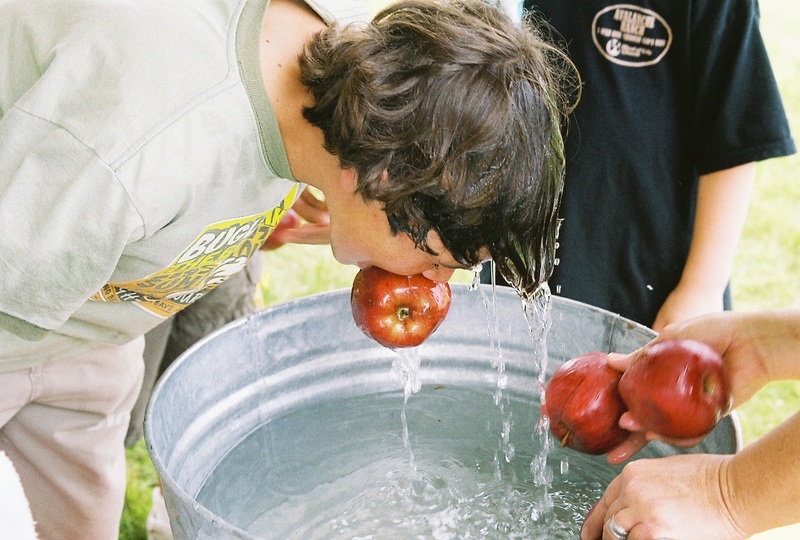 The best boozy option of the weekend might just be the two-day Great British Apple Festival in Shoreditch. The tenner tickets include access to a farmers market, cider tastings, apple bobbing and a hog roast. There’s live music too from Monroe Ferrari, Robbie Boyd and others. Kids 12 and under go FREE. Entry costs £10. Kids under 12 free. 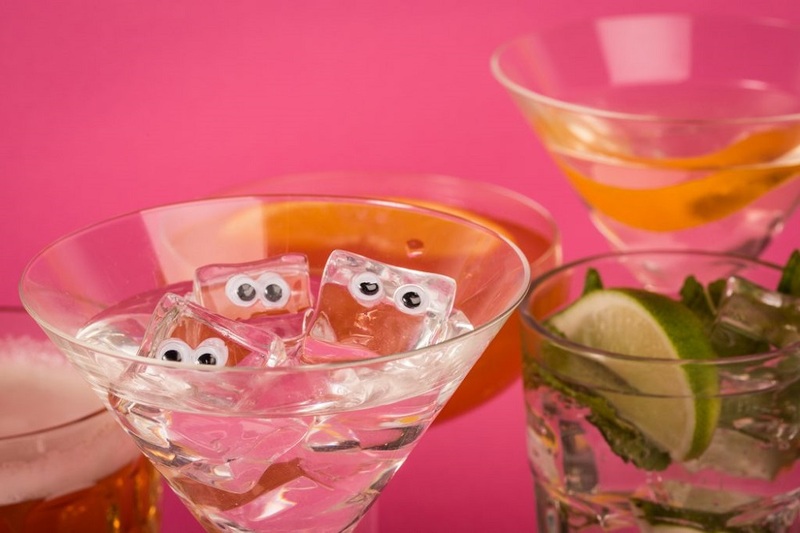 Fancy tucking in to some drinks but don’t want the hassle of a hangover? We’ve thought of you! Swing by the Mindful Drinking Festival, the capital’s first ever alcohol free drinks tasting festival. Saturday’s FREE event features dozens of stalls, talks and tastings from producers and experts plus a mocktails masterclass! 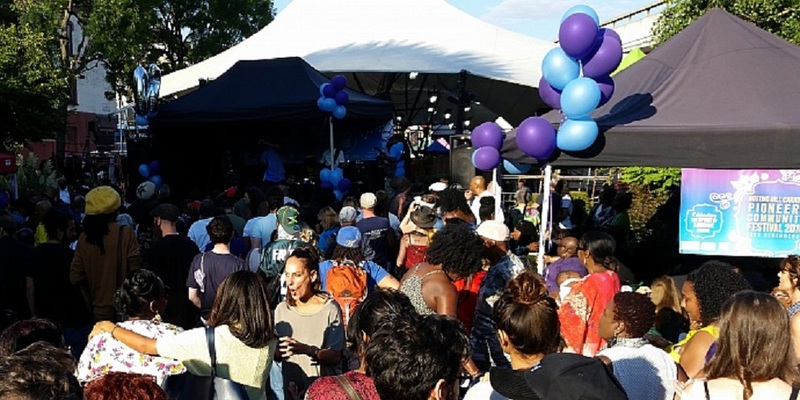 The finest family event of the weekend might just be the Notting Hill Pioneers Festival in west London. The family friendly fun day features, a bouncy castle, face painting, and an under 12s dance contest. There’ll be Caribbean street food and live music on offer for the grown ups. If all of the above isn’t enough, head to Homeslice in Shoreditch on Saturday where they’re giving away FREE booze! The pizza specialists are handing out gratis pints of Camden Town Brewery Hells lager with every pizza bought. 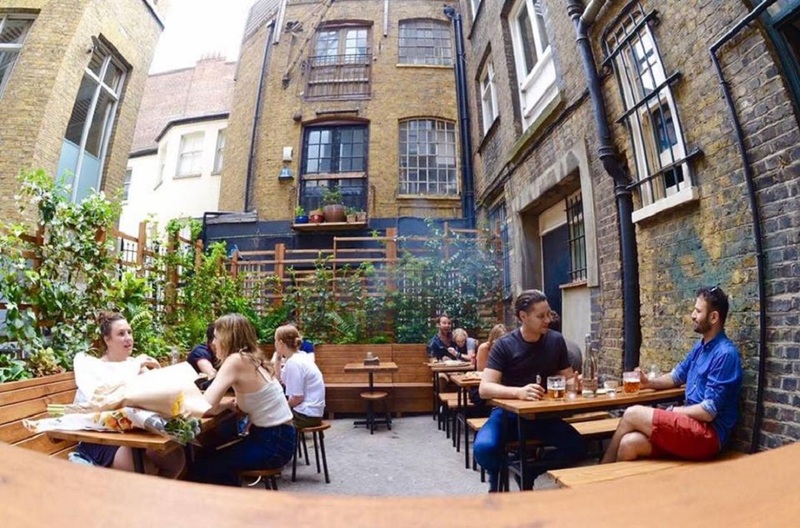 It’s all to celebrate their new new dining terrace at their Shoreditch restaurant. Cheers!